I love the idea of the 1924 book club and thought it would be a fantastic way to get me to pull something unread off the shelf and dive right in. It turned out to not be quite that simple. Simon and Kaggsy helpfully provided a list of some of the years best known/more easily available titles, a few of which I had. Unfortunately the ones I haven't read failed to raise any enthusiasm in me, and the ones I had didn't seem right for re-reading. 'Gentlemen Prefer Blondes' was looking hopeful but the date turned out to be wrong (damn you for raising false hope Internet). And then I found a copy of 'The Three Hostages'. 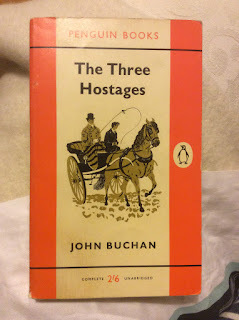 My knowledge of Buchan is mostly confined to various adaptations of 'The 39 Steps', I've had good intentions to actually read him for an age, and this was my chance. I've come out of the experience with mixed feelings. Plot wise you just have to go with Buchan on this one. It doesn't always make a lot of sense and a lot of things are glossed over, but it's an effective thriller and I didn't mind that. There are some really exciting set pieces - even the last chapter which is mostly descriptions of mountaineering kept me gripped as a life and death struggle unfolded on a Scottish hillside. Briefly, 3 people have been kidnapped, the daughter of a Rothschild style banker, the young son of a respected soldier, and the heir to a dukedom. They are to be leverage if some sort of international plot goes wrong (details never revealed but there are hints that Ireland is significant). Richard Hannay's help is sought in foiling these dastardly scoundrels, he is at first reluctant and then gets stuck in. Thanks to the help of his wife and various friends the forces of British decency prevail, but only just. What I learnt about 1924 is how much resentment and distrust was felt towards the Irish, how ingrained racism was (not a huge surprise), how rampant snobbery and class distinctions still were, how emancipated Lady Hannay is (more surprising), a growing sympathy for Germany after the treaty of Versailles, and a deeply ingrained anti-semitism. It's an interesting snapshot of attitudes at a specific point in time and is as effective a way as any of understanding what history has coming next. The attitude towards the Irish is particularly interesting, at first I assumed the villain was going to have his eye on, or be from, some Ruritanian style Balkan state, but he's Irish, at least on his mothers side. Celtic rather than Anglo Saxon, undoubtedly brilliant but also subtle, devious, mad, and without the moral code a proper Englishman should possess. Seeing this prejudice in print is new to me - the prejudice is not - and it's illuminating. Reading this primarily because of the year it was published in, and thinking about what it could tell me about that year, was fun. Buchan knows how to tell a story, Hannay, jingoistic cliches and all is an entertaining character, and the concluding chapters are particularly good. It should come with a bit of a health warning though - there are attitudes which are fairly unpalatable to this modern reader and without treating it in part as a historical document I'm not sure I'd recommend it. Autumn last year I went a bit over the top preserving things. When I realised I'd got through over a hundred jam jars it was clear my habit was getting out of hand (and expensive). Part of the reason for all that activity was an uncomplicated love of preserving - it's weirdly addictive, it's also quite helpful for dealing with stress. This year I've managed to keep something of a lid on the jam making but have started a tremendous amount of liqueurs. They're all under my bed maturing away (I think the Angels share might be helping me sleep more easily), It's a far more expensive habit than jam as well as a longer term one. The damson gin and mulberry vodka won't be properly ready until next Christmas, so for this Christmas it seemed like a good idea to make some quince brandy as well. The recipe I've gone for is from Nigella Lawson's 'How to be a Domestic Goddess', it was the first I found, is simple, and with 'Simply Nigella' to remind me of how much I love that book it's a good time to re explore it. 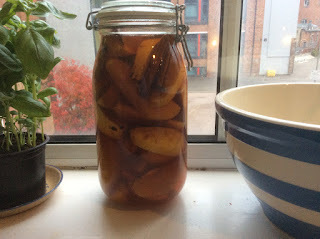 For the quince brandy it's just a decent size kilner jar (or similar) suitably sterilised. Make sure the quinces are clean, then quarter them (no need to peel or core) fill the jar, then cover them in brandy (cheap will do) and pop in a couple of cinnamon sticks and some a couple of heads of star anise. Leave for 6 weeks. I'm not a huge fan of brandy in the general way (it's mostly about whisky and gin in this household) but I'm assuming the fruit and spices will take the rough edges off and make something a bit special. If nothing else it should be great for feeding Christmas cakes and making mincemeat. I got very excited a few weeks back when Amazon recommended 'A Christmas Mystery' by Georgette Heyer, thinking for a moment that it was a new (rediscovered? previously suppressed?) title. 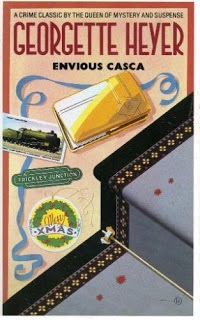 It then transpired that it was a re titled, repackaged, edition of 'Envious Casca'. Natural disappointment lasted as long as it took me to remember it's years since I've read any of her detective fiction and I could have my pick the moment I got home. Naturally I chose 'Envious Casca', it being in my mind and all though it took more than a moment to get round to reading it. It also turned out to be long enough since I had last read it to have become hazy about the plot, though to be fair it's easy enough to work out who did it, and how is also sign posted. The suspense comes from wondering if the police will work it out too. 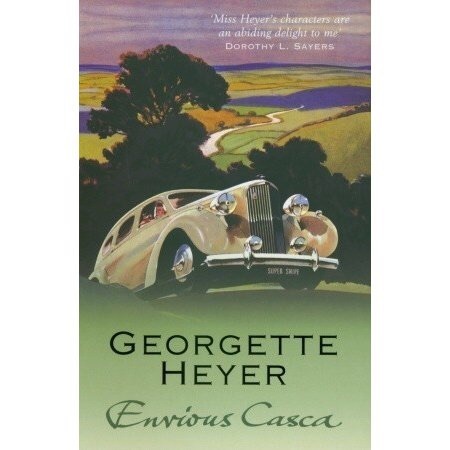 Heyer's detective fiction was never as highly regarded as her historical romances, but I've always enjoyed them. The plot for the murders were apparently supplied by her barrister husband, though the inevitable romance in each one is presumably all Heyer, and her characterisation is what makes these so much fun to read. In 'Envious Casca' we get a locked door mystery. 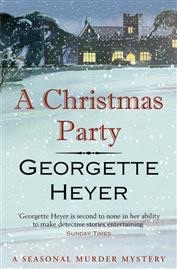 Nat Herriard is persuaded by his brother, Joseph, to throw a Christmas party. 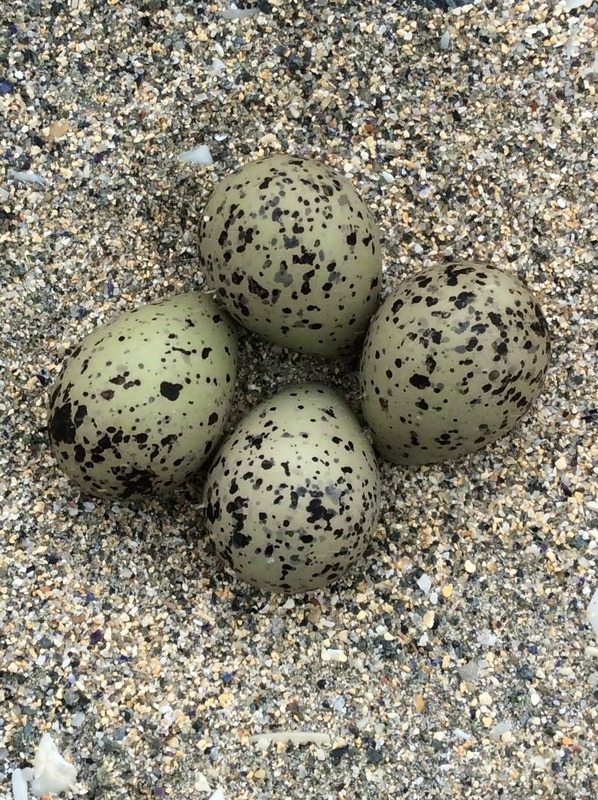 The guests will be Nat's business partner, a distant cousin, Mathilda Clare, his niece and nephew, Paula and Steven, and their respective partners, both of whom Nat dislikes. There is of course also Joseph intent on playing jolly old uncle, and his curiously inexpressive wife, Maud. It doesn't look like it's going to be a particularly happy party, and when Nat is found dead, stabbed in the back, locked in his room with the keys in the door the stage is set. For anyone who knows a bit of trivia about Elizabeth, Empress of Austria (or who watches Sherlock Holmes) the how is clear enough, and by a simple process of eliminating the obvious red herrings it's clear who's done it to. Even the title serves as something of a clue. But how you pin it on the culprit - that's the mystery, and it's not entirely clear how it'll be solved. Meanwhile, Maud is a much more intriguing character than I had remembered; the Herriard's are a somewhat over the top dramatic family, sailing perilously close to melodrama and cliche, but Maud is a perfect counterpoint with her flat refusal to be drawn into any of it and her sensible advice on the topic of liver salts. She also gets the last word, hinting yet again at hidden depths. She's an excellent example of Heyer's craftsmanship, as is Sturry the butler (though with him we're back in cliche territory). Altogether it's a good old fashioned murder mystery with enough humour and romance about it to help me unwind at the end of a trying day, or to be a self indulgent treat over a rainy weekend. The new cover does a good job of summing up the general mood (it's certainly better than the one on my copy, or the last stock image used) and right now this is exactly the sort of book I feel in need of. If I didn't already have it, it would have been top of my holiday wish list. As part of the promotional effort for this book Nigella was on radio 4's Woman's Hour talking, amongst other things, about food and feminism. It was an excellent episode which should still be available for a week or two, it's well worth a listen and raises all sorts of interesting points. 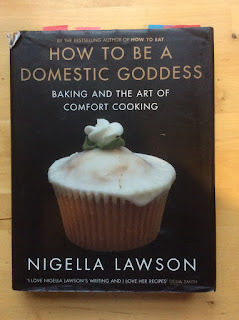 My first Nigella book was 'How to be a Domestic Goddess' bought around the time it came out, which was also the time when I was discovering the joy of cookbooks, as well as finding my place in a kitchen of my own. I had also just started working with some some proper foodies (these were my early Oddbins days) and that too had a significant impact on how I think about food - we spent a lot of time talking about food and wine in a way that I really miss these days. Nigella's books have become such a part of my kitchen that it's hard to remember life before them or how different they seemed, but with this new one in front of me I'm trying to pin down the magic again. Maybe it's because she makes the kitchen feel like a place to escape to rather than from, it certainly helps that her recipes are reliable and achievable as well - the relief of thinking 'I can do this' (and generally without much trouble) shouldn't be underestimated. 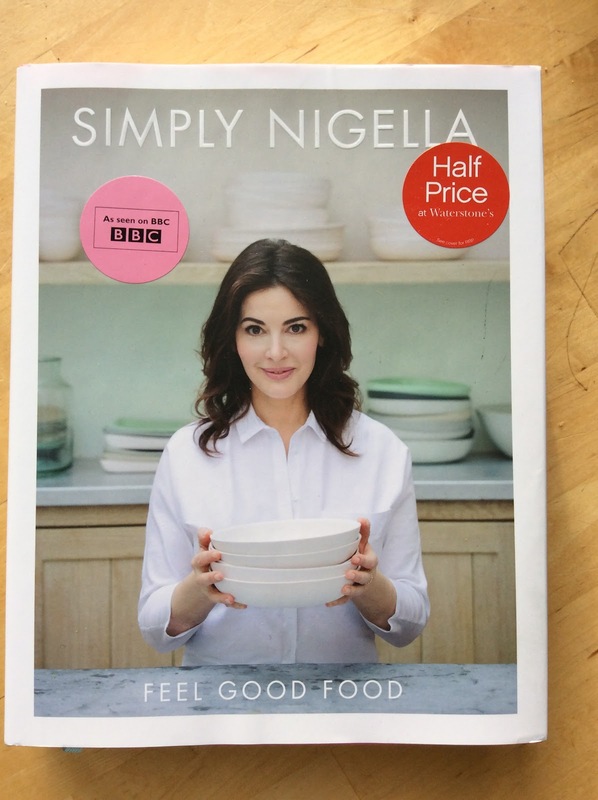 The collection of recipes here - well summed up by the title 'Simply Nigella - Feel Good Food' - are appealing even to someone ambivalent about avocados and emphatically not a fan of liquorice (avocados feature heavily, liquorice thankfully not as much). There are quick things, easy things that can casually be thrown together then left to do their thing so that the cook can do much the same for themselves, balanced delicious self indulgent things (I am thinking principally of potatoes braised with jars of char grilled peppers or butternut squash with za'atar and green tahini sauce). Bundt cakes that promise to be the perfect accompaniment to a cup of coffee and radio 4 (or a good book). 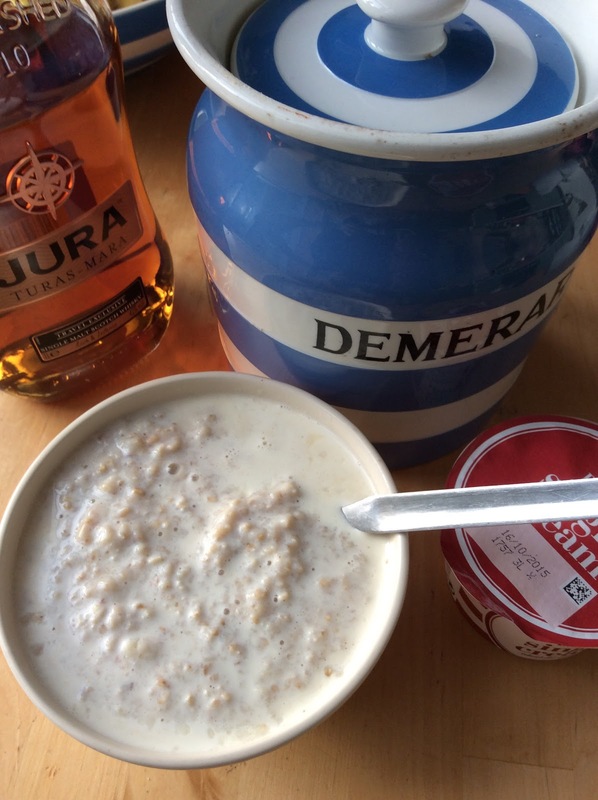 There are breakfasts which can be grabbed quickly in the week or the sort that can see you through Sunday morning with the papers. In short it's classic Nigella; generous, hospitable, adaptable, easy food that's a pleasure to cook and eat. I can't get enough of vintage crime and thrillers at the moment so it's just as well there is a more general vogue for them right now which is seeing plenty being re discovered. J. Jefferson Farejeon is a particularly good find, it genuinely is baffling why he dropped so completely out of the public eye for so long. 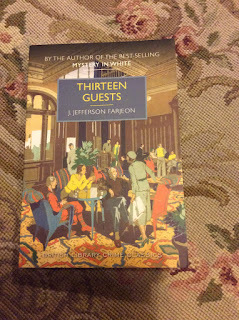 I loved 'Mystery in White' which was last years tremendously (and deservedly) successful Christmas offering from the British Library and enjoyed 'Thirteen Guests' just as much. I can't resist a golden age country house murder, I'm not sure if it's nostalgia precisely (I never lived in a country house before the war) but there's something irresistible about the mix of snobbery, upstairs downstairs tension, teatime and cocktail rituals, the claustrophobia of the setting, and the clipped dialogue. In 'Thirteen Guests' John Foss has had a bad day, in a bit of a daze he buys a train ticket to an unknown destination (he simply asks for the same station as the person in front of him at the ticket office). Disaster strikes when he has a bad fall getting off the train, a fellow passenger (a very glamorous fellow passenger) takes pity on him, packs him up, and takes him to the house party she's on her way to join. John makes 13 guests in all which gives him a momentarily superstitious shiver, which in turn is exacerbated by a house full of incompatible guests and disturbing emotional undercurrents. Bad things soon start to happen; a painting is damaged, a dog killed, and then murder committed. John, stuck in an anti room is on the edge of the action, but also in a position to hear, and sometimes see, more than might be expected. 'Thirteen Guests' also does something else I find irresistible in a murder mystery, but as it's the final twist I won't reveal more. Farejeon is a delightful writer, his plot holds up - though plot isn't entirely the point of a book like this, not for me anyway, the background colour is delectable - much more to the point. 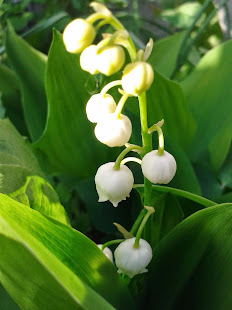 But best of all he has a way of veering off for a moment with a bit of humour or a general observation that's delicious. If I quoted an example it probably wouldn't look like much, but reading the book they are things that make me stop, smile, and generally feel pleased with the world for allowing me to be comfortable and so well entertained for the moment. I say this every time, but the British Library crime classics series is excellent. It's a really well chosen collection (I can't bring myself to say curated, though in this context it might almost be appropriate) doing a really interesting job of opening up the genre and bringing some very good books back into print. This is another offering from the British Library, but from the classic thriller range this time rather than a crime classic. The first thing to say about it is that it reads exactly like a Second World War propaganda film (not surprising) with the jingoism that implies. If references to the beastly Hun or cowardly dago's are all to much, well to be honest if they are all to much this probably isn't the sort of book you would seek out anyway but it's as well to mention it at the outset. I do enjoy those films when I find one on TV (sadly rare these days, and a fondness for them is probably an indicator of my age) and the reason this book reads exactly like One is that they're fulfilling exactly the same purpose. 'Trouble on the Thames' was published in 1945 but is set in 1938. Dashing young Owen Bradwell (handsome navel officer) feels his world is coming to an end - on his way home from the South China seas he's suddenly become colour blind. Being able to tell the difference between red and green is quite important at sea so it's not looking very good, but with war in the offing a job in navel intelligence turns up. It's Owen's job to investigate a spy ring and keep the dastardly natzi's at bay, in the process he meets an attractive red head and gets embroiled in the murder of a blackmailer. Will the spy's get their comeuppance, will Owen make it out alive, will he get the girl, and will everyone show suitable British grit, stiff upper lips, and a proper sense of patriotism (apart from foreigners of course)? It isn't really a spoiler to confirm that the answer to all those questions is basically yes, and that's just how it should be. I can imagine reading this in 1945 with a healthy dose of cynicism, but also finding it comforting. There are the pre war references to plentiful food and good wine, nice young people made of the right stuff, and things worth fighting for. The plot moves swiftly along, it has a couple of unexpected twists, and moments of proper tension along with dialogue which makes me smile - though that's perhaps as much for the period perfection of it, as it is intended humour. Reading it now there is some of the same cynicism, and still plenty of comfort. This is a world of the same black and white certainties as in those black and white films that take me back to rainy weekend afternoons as a child (it's amazing what you find yourself watching when there are only 4 channels to choose from). As an exercise in propaganda and moral boosting its worth examining, but mostly I'm recommending 'Trouble on the Thames' simply because it's easy going and enjoyable. 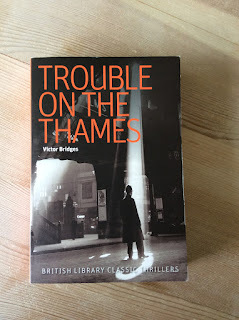 I've loved the crime classics series (it goes from strength to strength) and given how much fun 'Trouble on the Thames' was I'm really looking forward to seeing more classic thrillers. It's actually been a couple of weeks since I read this book but somehow this is the first chance I've had to write about it which is giving me something of a late with my homework feel (self imposed, I prefer to try and get my thoughts in order whilst they're fresh). 'Kauthar' is Meike's third book and in it she continues to explore the lives of, for want of a better word, flawed women. Flawed is for want of a better word, I've spent half an hour trying to think of another one (which is exactly why I'm not a writer). In 'Magda' it's the mother who kills her own children, even if motivated by love, in 'Clara's Daughter' it's the uncomfortable relationship between daughter and an increasingly incapacitated mother, and in 'Kauthar' we get a middle class English girl who turns first to Islam and then to something else entirely. Lydia, who becomes Kauthar, is deeply flawed. She wants something in her life to give it meaning but has a habit of choosing things that isolate her. A secret affair with a married man, a drinking habit that might be alcoholism, her conversion to a religion that separates her from her past life, adopting a mode of dress that physically creates a barrier between her and the world, and eventually a retreat from her new religion that estranges her from her husband and leads to an extremist position. In the end though it isn't religion that leads Kauthar/Lydia to her end but her own insecurities. She isn't isolated by a cult, isn't radicalised by extremists, she's doing these things to herself to fill a gap in her life. At first the rituals of religious observance provide a welcome framework to her life, take away the need to make difficult decisions, or even much responsibility, but Kauthar wants more than that, if all she had been after was a place in a community, a husband and family, it could have been found by staying closer to home in the first place. What she wants is glory, to be remarkable, to be perfect. 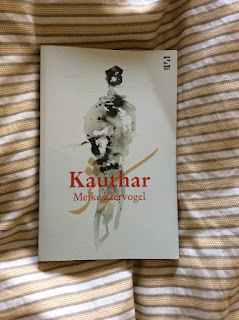 What I'm taking away from 'Kauthar' is how damaging psychological isolation can be, and how easy it is to impose it on yourself. When Lydia embarks on her unsuitable affair it puts up a barrier between herself, her family and friends. The separation from those around her continues, and as it does the chance of gaining any perspective from a peer group goes too. It's a convincing narrative of how one woman could arrive at this particular and terrible decision, it's also a discussion worth having, and not just around Islamic extremism. Ziervogel gets more and more interesting as a writer. I can't wait to see what she tackles next. I have a week off, and despite only having been back at work for three and a half weeks I'm really ready for it. It will be mostly spent dog sitting and breaking in new shoes (work ones which are boring, and other ones which I'm more than a little besotted by). The dog belongs to my mother and I'm more than a little besotted by her so I've been really looking forward to having her to myself for a few days. At least I was set up for the search by the perfect autumn, and holiday, breakfast; porridge with plenty of cream, Demerara sugar, and a discreet slug of whisky. I can't pretend it's especially healthy, but it's good (though should be enjoyed responsibly, and not if you have to drive anywhere). they seem to be a feature. Most attractive however is a series of bundt cakes, welcome because all look good and it might make me finally get the bundt tin back out. (TK Max special, and like so many bargains - underused). Meanwhile, in what was meant to be a cheap week I bought a pair of Dr Martens for enough money to pay for a lot of books but they were to good to miss. A collaboration with the Soane museum, they have scenes from Hogarth's 'A Rake's Progress'. 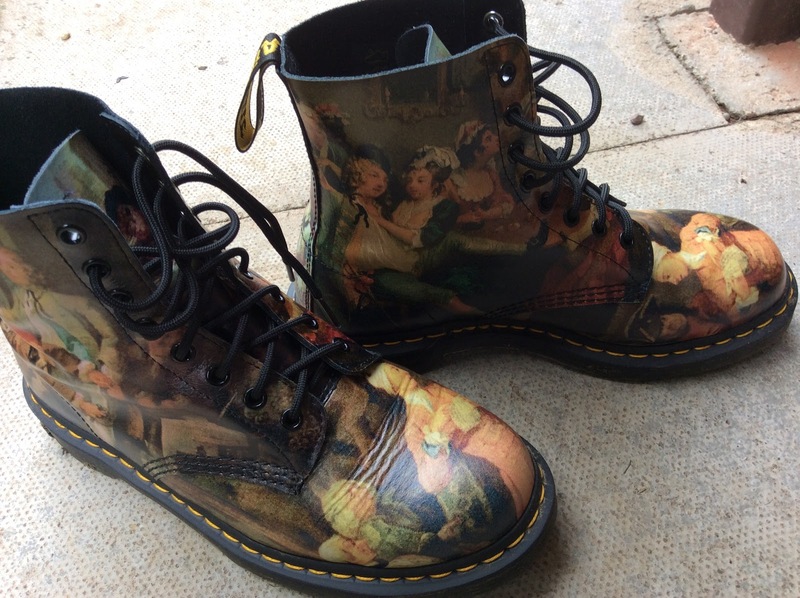 A combination of Hogarth and comfortable footware isn't something you find just every day. 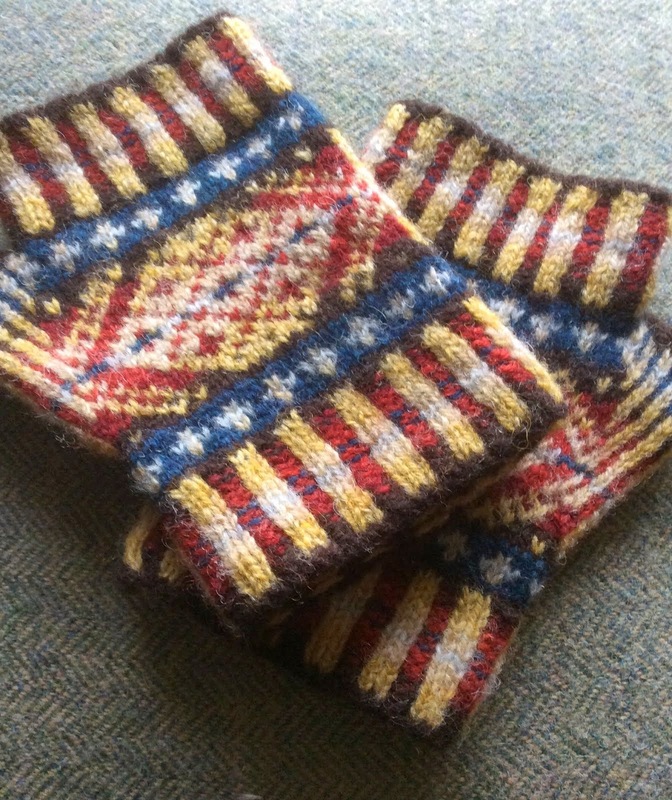 I hope the dog appreciates them as much as I do on her walks. 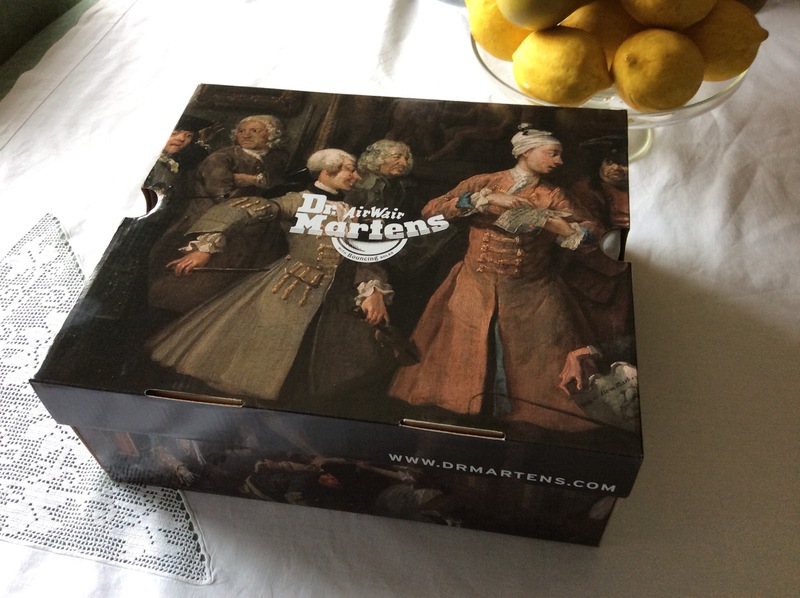 Even the box is a delight. After being mostly disappointed by 'Gin Glorious Gin' earlier this year I've finally found a book about the history of spirits I can be wholeheartedly enthusiastic about. 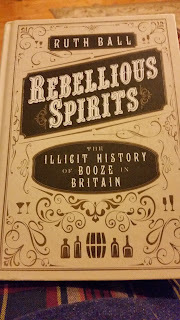 'Rebellious Spirits, the illicit history of booze in Britain' does, to be fair, have a wider remit than being a history of one spirit (gin) in basically one place (London), which gives it a much wider appeal, but it makes the most of it (and is blessed with an index which is useful). Basically, Ruth Ball (The Alchemist), starts with the way Dionysian cults used spirits in initiation ceremonies - the secrets of which were passed on to monks, and takes us up to the present day. 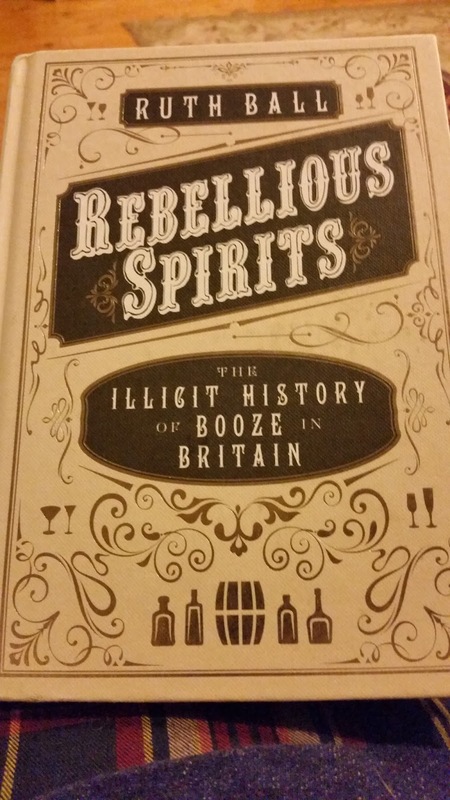 Given that it's not a long book the history is potted but it gives an entertaining overview of not exactly legal alcohol in the UK with plenty of anecdotes along the way. Perhaps more importantly it also gives recipes to recreate an approximation of what those drinks might have tasted like. 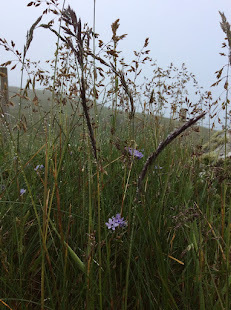 Perhaps the most evocative example is for an idea of what smuggled brandy might have tasted like after it had spent some time at sea, being hidden in a net of gush, and finally (as well as optimistically) hidden under a haystack. It calls got something cheap in the brandy line as well as some oak chips to replicate the effect of being stored in a small cask, half a handful of hay, and most evocatively, half a teaspoon of nam pla (fish sauce). It's that pungent dose of nam pla that illustrates most clearly to me just how nasty a lot of illicit booze could be. It's also something I'm really tempted to try. The suggestion for an S.S. Politician inspired (of 'Whisky Galore' fame) scotch on the rocks with just a couple of drops of salt solution added to your whisky and ice is also really appealing. I'm not sure it's something I'd want to try with my best single malts, but if I find myself in possession of a suitable blend - which would be more authentic - I'll most certainly be trying it. I think suitable would be something at the sweeter more sherried end rather than anything particularly smokey. The final chapter deals with the current speakeasy style bar scene in London. I must admit the idea of heading into a cafe, giving a password, and finally being ushered through a fridge door into a bar hidden behind it does nothing at all for me. I doubt very much that I've ever quite had the confidence to engage with that kind of drinking scene, but then when I had the disposable income to go out for cocktails the best I could initially hope for was a brandy Alexander in the student union, when I got my mortgage (goodbye nights out in bars) cosmopolitans were still reasonably sophisticated. 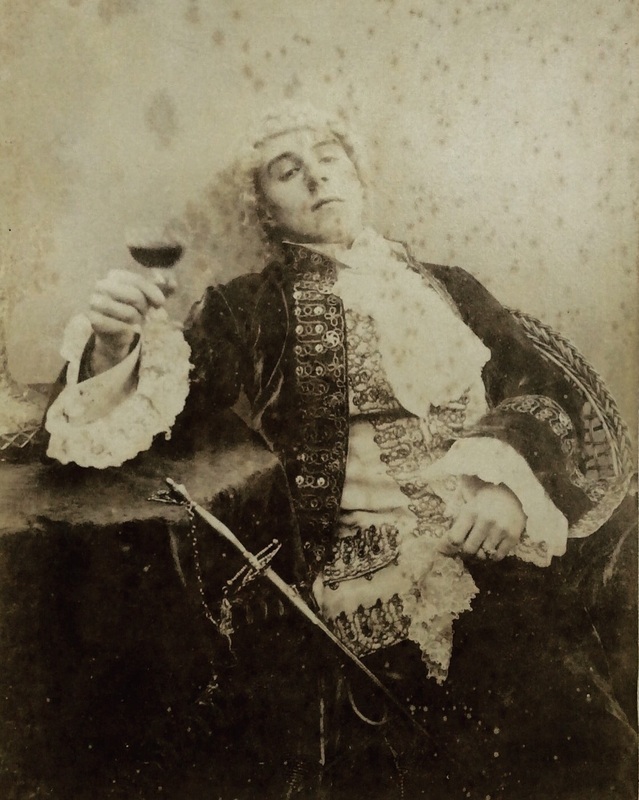 Things appear to have moved on a lot since then, which is good - cocktails should have a bit of theatre about them. A recipe for a gypsy martini (raisin and Rosemary infused gin, Lillet Blanc and St Germain elderflower liqueur) sounds amazing, as well as easy enough to make at home (as long as I plan a week in advance to infuse the gin with rosemary and raisins). In the end I loved everything about this book; the enthusiasm it brings to its subject, the try this at home approach, it's humour, and the stories it brings to life. It really has a lot to recommend it. The alchemist sounds intriguing too - apparently one of her commissioned cocktails was for the British library - it had to evoke the flavour of old books, now that's something I'd like to try. I picked up 'Wonder Tales' on my last trip to London almost in desperation. My train had been delayed by 4 long hours getting there which had swallowed almost all the time set aside for a bit of self indulgence before the thing I was actually there for started. Plans to see an exhibition, consider the whisky offering in Berry Bros and Rudd, and have a really good browse in a really big bookshop were truncated into a bit of a browse in a really big bookshop. Unfortunately being delayed by four hours mostly breeds impatience, good browsing on the other hand requires a state of relative relaxation. 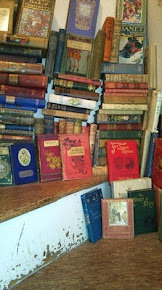 My time was almost up, I hadn't found a single book, and there was no way I was getting back on a train without something to read. That's when the one all but jumped out at me, it was quite a relief. If there's such a thing as perfect fairy tale reading weather then we've been enjoying it for the last couple of weeks, right down to the super blood moon on Monday. There's a slightly unreal quality to how beautiful the days have been recently which is underlined by the cold nights and foggy mornings. It can't last for all it feels like it's still summer whilst the sun is shining and the melancholy that brings fits well with these tales of persecution and transformation. 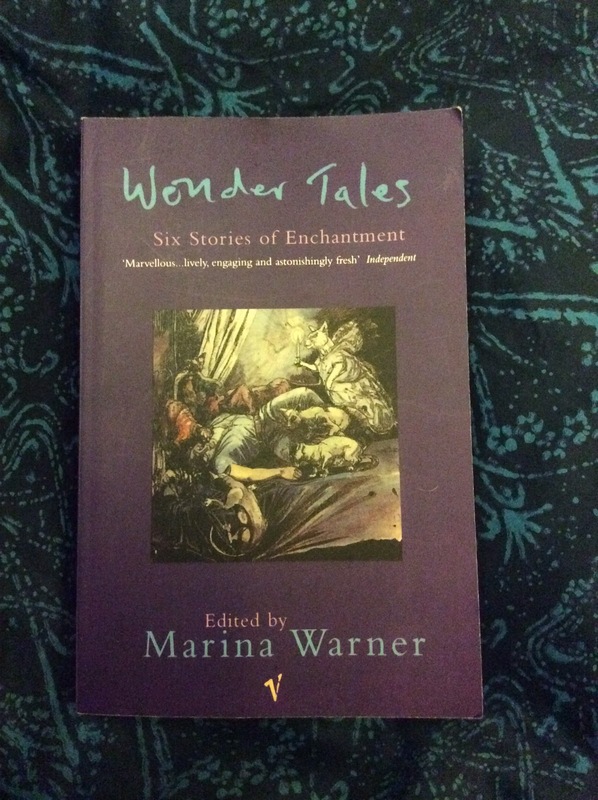 This is a collection of six stories edited by Marina Warner but translated by a range of different writers. The only one I was familiar with is A. S. Byatt who's version of Marie- Catherine D'Aulnoy's 'The Great Green Worm' is a definite highlight. It's something of a mix between Beauty and the Beast and Cupid and Physche where the ugly sister turns out to be the heroine, also Byatt has a way with snakes which I can't resist. The other highlight is Ranjit Bolt's take on 'The Counterfeit Marquise' which has as much cross dressing as a Shakespeare comedy but without the low farce and is just utterly delightful. More troublesome is 'Starlight', both Prince and Princess probably deserve each other but neither are very appealing. A prince who swings between love lorn lassitude and murderous soldiering is not my idea of a comfortable husband . Never the less it's an enjoyable collection and an excellent addition to my growing fairy tale library. I see that this edition was printed in 1996, and it does look a bit like it's been hanging about since then (the spine is faded and the pages are yellowing a little). It would also seem to be basically out of print, so I'm not only grateful I found this copy, but am wondering if there was a touch of magic about it. What are the chances that a (signed by the editor) book might wait in Waterstones Piccadilly for almost a score of years just for me to buy it almost despite myself (and certainly despite the best efforts of midland mainline)?